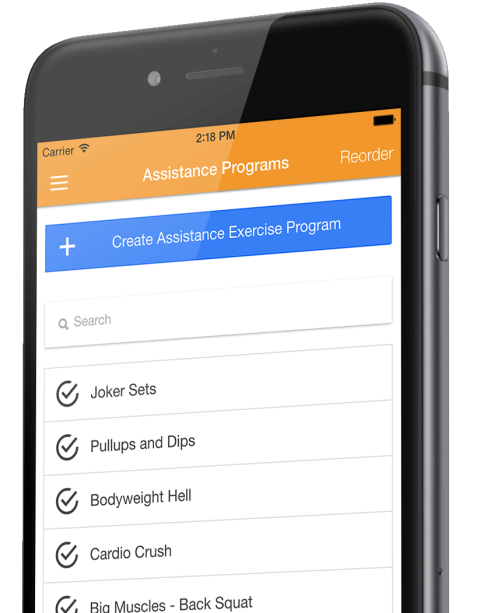 11 pre-built customizable assistance programs and a special Joker Set assistance program that will dynamically adjust the weight and reps depending on what week you are in. Your cycles are automatically calculated based on how you lift and your body’s own unique fitness level. Customize the Wendler 5/3/1 program as little or a much as you want. Stick with the four main lifts: Military Press, Bench Press, Back Squat and Deadlift – or create your own unique lifts! See the exact plates you need to load on your bar for all your lifts with the plate calculator. 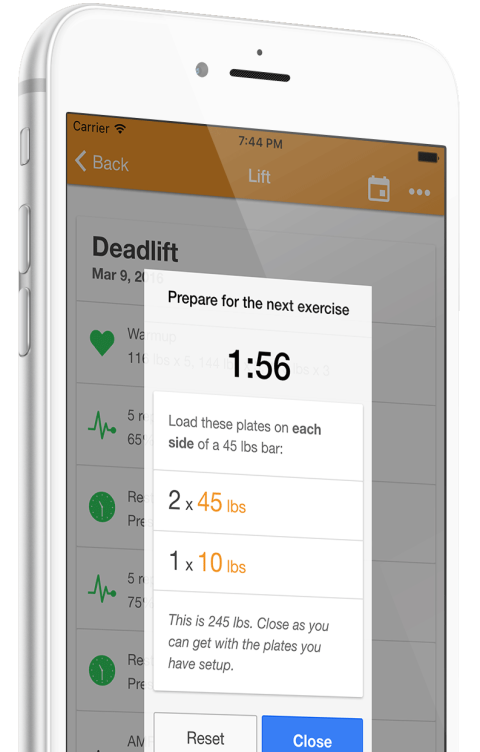 The plates for your target weight will be automatically displayed when you start the rest timer. Or, if you prefer you can see all the plates you need to load for the entire lifting session under the “Plate Calculator” menu item. 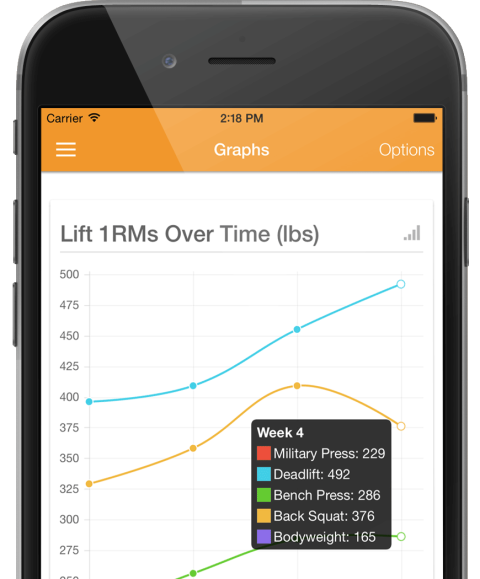 Automatically calculate your lift one rep maxes each workout. See the plates you need to load before each of your lifts. 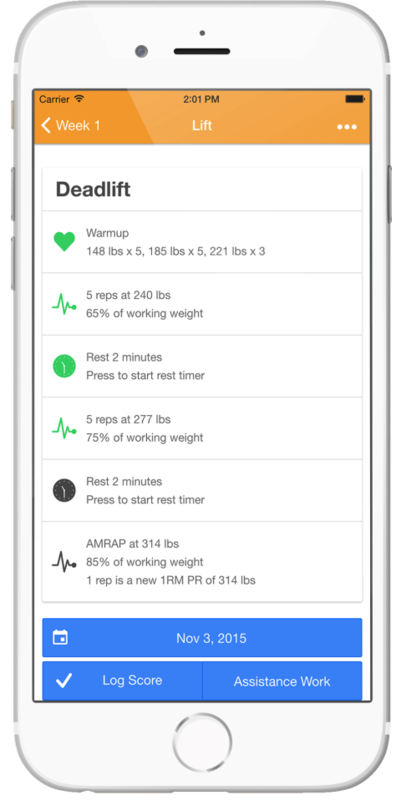 ✔ Customize the number of weeks in your lifting cycles – configure up to 10 weeks in a cycle! ✔ See a complete history of all your Wendler workouts. Sort by date, reps, lift type, and one rep max.